A hopper window is an awning window flipped upside down. It opens from the top and tilts inward from the top edge of the sash. These windows are often used in small spaces like a basement room or small bathroom. 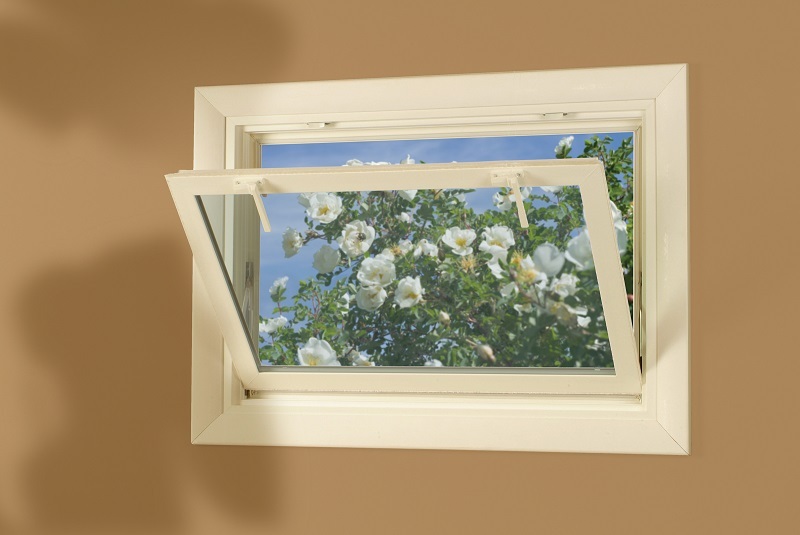 Since this style of window is able to fully open, it allows more airflow than a slider or doublehung window of the same size. We carry several colors as well as woodgrain options in our hopper style windows. Call us for a free quote at: 717-733-7534.